The “Responsibility to Protect” doctrine holds that states have the responsibility to protect civilians from mass atrocity crimes, and when they fail, the responsibility falls to the international community. This comes on the heels of the birth of the International Criminal Court, with its focus on prosecuting the most egregious crimes against humanity. The ICC’s principle of complementarity also holds that it is states that have the responsibility to prosecute those responsible for mass atrocity crimes committed within their borders. Only when a state is unable or unwilling to do this will the situation fall under the jurisdiction of the ICC. Taken together, these two initiatives offer a framework to advance how the world responds to genocide and crimes against humanity. But as we have seen in Darfur, Congo, and Uganda, the Responsibility to Protect doctrine is just that: a doctrine real only on paper. R2P’s and the ICC’s potential for confronting real cases of genocide and crimes against humanity remains largely unfulfilled. What does R2P mean in real life, rather than in some fancy UN document? What can and should it require the world to do on the ground, for example, in the worst human rights crises in the world? Is the international community meeting its responsibilities to protect civilian life in the context of the embryonic R2P doctrine? We’ll review three cases—those of the first three ICC investigations: Northern Uganda, Democratic Republic of the Congo, and Sudan. As a way of assessing the international response to mass atrocities, the ENOUGH Project uses a simple method of categorization which we call the “3 Ps” of crisis response: Peacemaking, Protection, and Punishment. For the purposes of this Strategy Paper on R2P and the ICC, the focus will be on the 2nd and 3rd s—Protection and Punishment. Let’s start with the country with the most ICC indictments so far: Uganda. The 20-year insurgency led by the brutally messianic Joseph Kony and his Lord’s Resistance Army has resulted in arguably the highest number of child abductions in the world and one and a half million internally displaced persons. So with two decades to respond, what has the international community done in terms of protection for civilians and punishment of perpetrators? — No peacekeeping or protection force has been deployed. — No major deployment of unarmed protection officers working for NGOs has occurred to at least attempt to provide protection by presence. — No significant and focused military training has been undertaken with the Ugandan army to carry out more relevant protection-oriented military deployments around the IDP camps. However, in terms of punishment/accountability/justice, there has been some action. The ICC indicted LRA leader Joseph Kony and his four top deputies over two years ago, but no apprehension strategy accompanied the arrest warrants. Without its own police force and with little commitment from the United States and international community, these indictments are simply hot air. As a result, the ICC has become somewhat controversial in Northern Uganda. Having gotten no credit in providing the first significant point of leverage on the LRA in 20 years and helping to drive the LRA into a peace process, many inside and outside Uganda are now calling for a removal of the ICC from Uganda as it is perceived to be a principal impediment to a peace deal. The old justice vs. peace trap has found a new home in Northern Uganda. The truth is, however, that justice and peace are complementary in Uganda. Justice is a vehicle to help bring about peace, but that peace can be lasting only if justice is not undermined by total impunity for the perpetrators. Members of the Court such as South Africa, Germany, the UK, and France, and even a non-signatory (for now) like the United States, need to increase support for the ICC cases, help craft credible military strategies to apprehend those indicted by the ICC, and at the same time ratchet up the diplomatic effort at getting a peace deal. As we have written in earlier ENOUGH reports, a direct and sustained negotiating channel should be opened with Kony in order to deal directly and frontally with the security issues that prevent him from signing any peace deal so far. Although a final peace deal is to scheduled to be signed by the end of March, directly addressing Kony remains the critical factor. There are many options open to negotiators, but few that Kony and his deputies would consider. Even in the LRA’s weakened position currently, it always can turn to its long-time patron—the Sudanese regime—to help resuscitate its fortunes. So the willingness to hold out against peace will remain high because of this external element. In light of that, a mix of options must be considered, including prosecution for some, exile for others (which would be considered banishment, a form of punishment in Northern Uganda and many other places), and for the rest a combination of traditional reconciliation mechanisms and local judicial processes. All this would have to be supported by a strong demobilization and reintegration program as well as victims’ compensation initiatives. For some of the indictees who agreed to a peace deal, the UN Security Council could potentially invoke the ICC charter and suspend the cases on a one-year rolling basis pending ongoing implementation. The Congo is the deadliest war since World War II. There in the jungles of Eastern Congo, the concept of R2P is arguably more relevant than anywhere else in the world. What has the international community done to help protect civilians? To begin with, the DRC has the largest UN peacekeeping operation in the world (MONUC). MONUC has made some effort to protect people mostly by preemptive strikes against militias and through underfunded disarmament, demobilization, and reintegration programs. But with millions of internally displaced persons, predatory militias like the FDLR—the militia descended from those that committed the 1994 genocide in Rwanda—and Mai-Mai units, a major rebellion led by Laurent Nkunda with whom a peace deal was recently signed, no functioning judicial system, and perhaps one of the most parasitic government armies in the world, it is simply fantastical to think several thousand infantry soldiers—the fighting force embedded in what is the largest peacekeeping mission in the world—can protect millions of displaced, defenseless civilians. To get a real handle on stopping the atrocities beyond continuing efforts at striking and implementing peace agreements which so far have proven ineffective in stopping the predatory violence against civilians on the ground, there needs to be punishment and accountability. So far, Eastern Congo has little in the way of a functioning judiciary system, so again it becomes principally a question of international justice. The ICC has indicted three warlords from Ituri, and has been part of the equation of decreasing violence in that troubled region. Now the ICC should expand its efforts to the Kivus, where the real epicenter of violence is: The Kivus are Africa’s ground zero for mass atrocities. 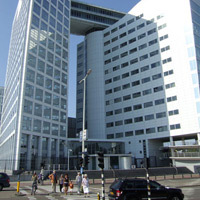 There needs to be a major push by the European and African ICC member states mentioned above—as well as by the United States—to share information with the ICC and to provide financial resources to prepare indictments against war criminals in the Kivus, particularly for crimes against women, and a second track that builds the capacities of Congo’s justice system. (Illustratively, half a billion dollars were spent on the last elections, but almost nothing has been generated for helping to establish the rule of law). Similarly to the case of Northern Uganda, there must also be a significant investment in demobilization and reintegration efforts for the various militias, to provide an exit for those that want it and qualify for such programs because of the various peace deals that have made provision for reducing the number of men and boys under arms. After a 20-year war left two million dead in the South, another 200 to 400,000 have died in Darfur. What is the international community doing to uphold its responsibility to protect civilians in Darfur now? Darfur is the place where many have declared this wonderful concept of R2P as DOA: dead on arrival, stillborn in the sands of the Sahara. We all know the sad reality. Four and a half years, and only 6,000 AU troops deployed who can’t protect themselves in most instances. Finally, on July 31, 2007, the UN Security Council authorized the largest UN protection force ever, building on the existing AU force. But Sudanese government roadblocks and a lack of donated helicopters has dramatically slowed the deployment of this force, while violence continues to deepen in Darfur. Though not a panacea, getting this force deployed would help protect thousands of Darfurians. But will it happen? Maybe not, because the real missing R2P ingredient in Darfur has been accountability. There has been no cost for committing genocide, and no consequence for obstructing protection. Almost five years have gone by since the destruction of Darfur began, and so far the ICC has only indicted two people, and the UN Security Council has only sanctioned three officials. In fact, one of the indictees, Ahmed Harun, has been put in charge of monitoring and overseeing the deployment of the UN-AU protection force. The United States should lead in the UN Security Council to impose targeted sanctions on regime officials for obstructing the hybrid force, and it would make a difference, as such measures have in the past. The European Union should ban the use of euros for all transactions involving the Sudanese oil sector, just as the United States has done with dollar transactions. Furthermore, the United States and others could intensify intelligence cooperation with the ICC and help the Chief Prosecutor Luis Moreno-Ocampo with the second wave of investigations he announced in December. If there is any hope for protecting people in Darfur, it will be through a concerted multilateral effort to impartially impose a consequence on those most responsible for the violence and for obstructing efforts to protect civilians. The adoption of the “Responsibility to Protect” doctrine has the capacity to change the way the United Nations does business. Although sovereignty still is central, the United Nations has now—with this doctrine—dedicated itself to protecting people. At least in theory. It is only with significantly increased political will—generated by the growing global anti-genocide movement—that this doctrine can help create a world in which R2P is the standard and the United Nations instinctively turns to this doctrine whenever it faces even the possibility of genocide or mass atrocity crimes. To translate R2P into action, we must understand its roots within the 3 Ps: nimble and comprehensive peace process, focused protection initiatives, and clear and impartial multilateral punishment for perpetrating mass atrocities. Part of the challenge for deepening the relevance of R2P is figuring out the best combination of these 3 Ps and how they actually are applied in each unique case. But again, the major challenge is helping to build the political will necessary to implement such difficult measures and to ensure our responses are based on principle rooted in international law. Ultimately it comes down to a series of decisions and choices as to what our national political systems prioritize. If we are going to bring about change, it begins with voters demanding that R2P becomes more than just a wonderful intention or bumper sticker slogan. The “constituency of conscience” – the ever-expanding permanent movement dedicated to ending genocide in Darfur and mass atrocities beyond – must move R2P from mere words to concrete action.